In Business Process Management Systems, human resource management typically covers two steps: resource assignment at design time and resource allocation at run time. Although concepts like rolebased assignment often yield several potential performers for an activity, there is a lack of mechanisms for prioritizing them, e.g., according to their skills or current workload. In this paper, we address this research gap. 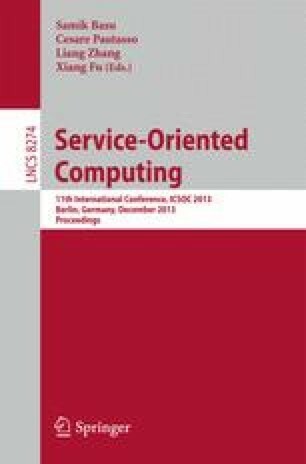 More specifically, we introduce an approach to define resource preferences grounded on a validated, generic user preference model initially developed for semantic web services. Furthermore, we show an implementation of the approach demonstrating its feasibility. This work was partially supported by the European Union’s Seventh Framework Programme (FP7/2007-2013), the European Commission (FEDER), the Spanish and the Andalusian R&D&I programmes (grants 318275 (GET Service), 284860 (MSEE), TIN2009-07366 (SETI), TIN2012-32273 (TAPAS), TIC-5906 (THEOS)).